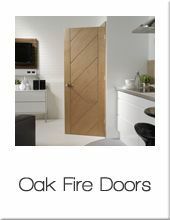 We have a large selection of internal fire doors, made of various timber species to compliment the style of any home and to meet requirements of the fire regulations at the same time. 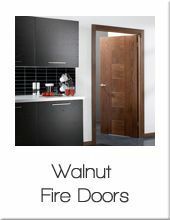 Our choice of the most popular wooden interior fire doors includes oak, walnut, white painted and other timber colours. 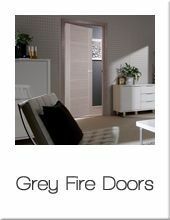 It also includes a number affordable, readymade glazed fire doors. At Modern Doors we would always recommend the choice of a fire door even when they may not be required by regulation, as at a minimum thickness of 44mm, fire doors are heavier and more substantial providing enhanced performance with improved sound and thermal insulation. 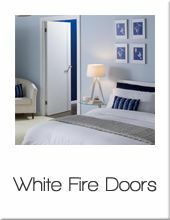 All our contemporary fire doors within this section are available in standard imperial or metric sizes (or both) and with 10 years manufacturing guarantee! However, if you are unable to find your preferred style of door within this section then please contact our sales support team, as we are able to manufacture bespoke timber fire doors to any size, style, finish and even rating (FD60 & FD120), at competitive prices. As well as the doors we also able to supply additional products required to conform to fire regulations including intumescent strips and self closing devices. Some of our unique designs can be found within the Bespoke Internal Doors section of the website as well as our Gallery.